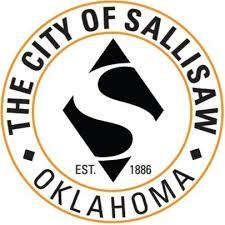 Sallisaw commissioners will consider using a search firm to find and hire a new city manager. At the city meeting Tuesday, Acting City Manager Keith Skelton said the search should begin as soon as possible. Commissioners suggested the hiring process could take as long as six months. The search is to replace Clayton Lucas who resigned recently after the city commission voted three to two to fire him. 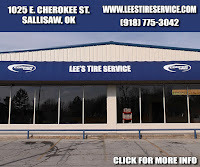 Lucas fought back in district court, and asked for an injunction against Sallisaw Mayor Jim Hudgens, which was granted. But Lucas later accepted a resignation package from the city, and the injunction against Hudgens was lifted. Hudgens conducted the city meeting Tuesday evening. He suggested using a search firm to find a city manager replacement. Hudgens suggested the city staff submit a list of search firms to the commission, and a request for proposal, or RFP, be prepared. Ward 3 Commissioner Julian Mendiola said he wanted to see the list by the next meeting, and Ward 2 Commissioner Roena Poindexter said she wanted to review the firms before one was hired. According to published information on such firms, the average cost is about one-third of the salary of the searched-for post, which in this case would be a little over $30,000. In other action, the city commissioners, on the advice of City Attorney John Robert Montgomery, voted to take appropriate legal action against Rural Water District #4. The water district, through its attorneys, filed a petition with the county to annex certain property south of the city. 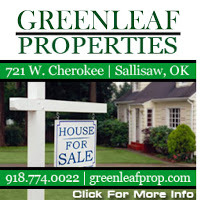 Montgomery told the city commission that portions of the property to be annexed are in Sallisaw city limits. The annexation petition will go before the county commissioners at 10 a.m. on Jan. 22 in the county commission meeting room. Hudgens said he plans to attend that meeting. In the past, officials with Rural Water District #4 have asked the city for permission to connect with Sequoyah County Water along Drake Road, on the city’s south side, to purchase water from Sequoyah County Water. At the present time the rural water company purchases water from the city. Skelton asked for a special meeting, to be held at 6 p.m. Feb.1 at the city’s water treatment plant, to review city projects. He told commissioners an in-depth report was received from the Oklahoma Department of Transportation (ODOT) on traffic on U.S. Highway 59, in order to build an additional access road to Houser Street in the industrial park. 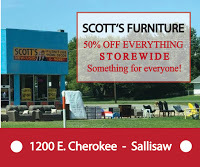 He also reported that work continues on Cell 8 at the landfill, that a faulty insulator caused a power outage on Sunday, that a valve failure was repaired at Brushy Lake, and approach lights at the Sallisaw airport needed to be repaired at a cost of about $30,000. In the Sallisaw Municipal Authority meeting, the city commissioners approved a master services agreement with Garver Engineering of Fayetteville, Ark., for electric system engineering, and approved a work order for $19,900 with Garver Engineering for pole crossings on Interstate 40. The city hopes to replace worn wooden poles with galvanized metal poles. The commissioners also approved renewal of agreements with broadcasters for DiamondNet. Skelton reported the agreements’ increased costs would raise fees about $3.54.